4 registered (JoeSpeetjens, Heinz, Dean-Royal, kankeL), 28 Guests and 11 Spiders online. 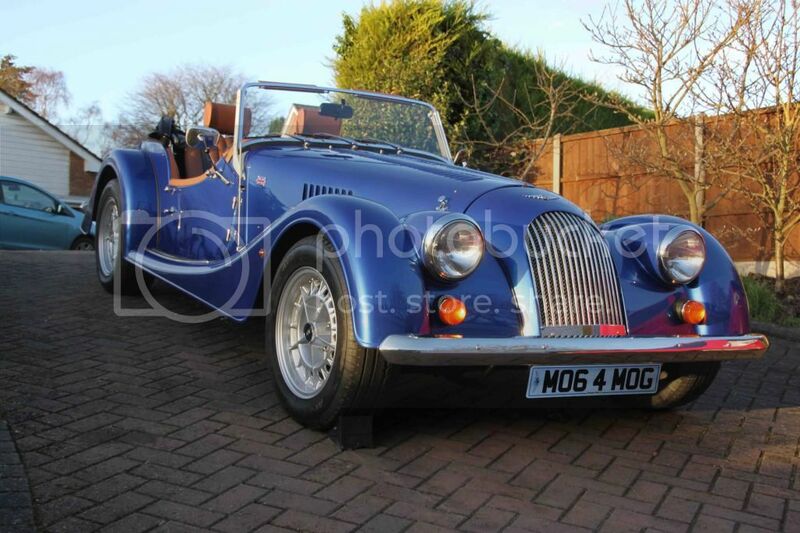 Can anyone help with an alternative starter motor for my 1994 Morgan +4 all std with the Rover Tomcat engine. I would like to fit a high torque starter motor. Having been told the wrong type 5 times so far by suppliers I need to know the correct standard starter for the car. Its fitted with a Magneti Marelli Type M79(0.9), Model 26627D made in 1998, so far I can't even trace this or a std equivalent on the internet. Can any one suggest an alternative make and or model number please? Ask Tim or Darren at New Elms - they've fitted a few Hi-Torque starters over the years and should know! Yes and the chap who runs it is a very nice chap can't do enough for you . Since Friday another 3 suppliers have come with zero or wrong info. Powerlite was the first I went to at the classic car show, they had 4 guys, all who came up with different number, even looked at my car on the Dream Rides stand (it was the light green + 4 if anyone was there), then sold me one, it turned out to be nothing like when I took the old one off. The RAC 409 seems close, but not exact. Bad news is that these starter motors were a special model built for Morgan in the 1990's and are not fitted to any other vehicle, I think the rotation is opposite to the ones used in the std Rover 800 T16 engines. Also this means that a Hi Torque one is not available off the shelf. Slightly better news - Powerlite will build one if needed, though at a price.. Even slightly better news - they can of course be rebuilt. Finally the good news - they are available off the shelf at the Morgan factory and no doubt through dealers. I called in there yesterday quoted the engine number and within 3 minutes I had a new one. I was told the factory modified them a little but didn't know how, I believe it to be a slightly and crudely (even by Morgan standards) modified and extended power connector on the solenoid. Very useful info WOX9 - thanks. I dunno, I like the sound of a Sheep Van.